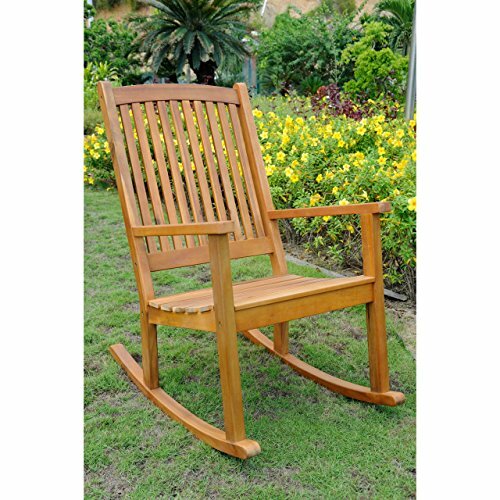 Enjoy your afternoon while rocking in this durable porch rocking chair. Crafted of durable solid acacia wood with a beautiful wood stain. Features a contoured seat for maximum comfort.